This is the fist book I have listened to by this author. 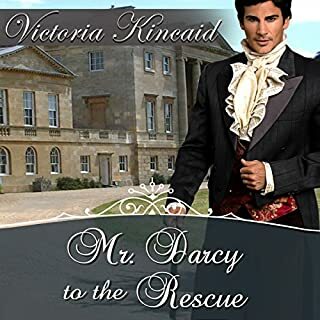 I have listened to others who have continued Mr. and Mrs. Darcy's story. this was one of the more interesting ones because it was set in modern times with all of the spy equipment and macinations that go along with a rich spy who loves his wife. The interactions between them and their dogs is a bit funny. Mrs. Darcy or Lizzy is a dog psychologist of all things. Yet she likes an adventure as much as Mr. Darcy. This adventure included not one or two dog but four dogs, to childen and five grown adults riding in one landrover that is also equipped with many special compartments. I was provided this book by the author for an honest review. I would recommend this book if you are a fan of the Darcys but a modern day version of them. Audiobook blast provided the book. You won't BELIEVE the crowd that goes along! Another bit of great fun in the modern life of Lizzie and Mister Darcy. After six months of marriage, Darcy announces that they will go on a Honeymoon. Lizzie is thinking the Maldives. Darcy announces that it will be Scotland first, as he has an errand to run for the Templars. Okay. But her sister Mary phones in the middle of the night with a major problem involving a new villainess, so Lizzie goes to help, and this results in an 8 hour trip to Edinburgh accompanied by four victims, two children, and four dogs. Along the way they are accosted by two previous villains, the awful Caroline, and the new villainess. There is lots of snark, awful puns, and real silliness. This series is really too much fun to miss, and each book is not too long. Jannie Meisberger is an excellent voice performer and this book demonstrates it clearly. 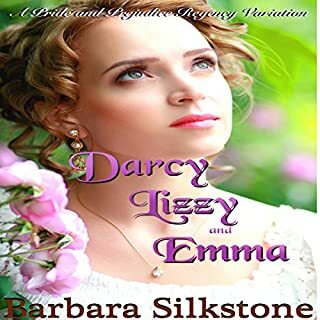 I am not a fan of modern Darcy/Lizzy stories, but this grouping of stories by Barbara Silkstone takes the cake. 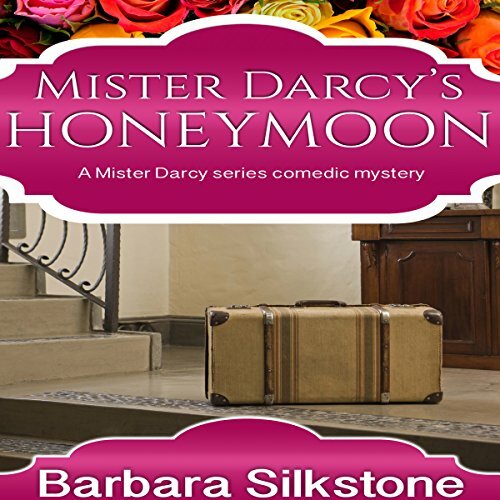 Mister Darcy's Honeymoon has the angst you expect with a dose of comedy that keeps you on your toes. The Vatican is after the Templar's Red Rosary and foreign domestic servants being held against their will by their employers are being pursued by the head of a human trafficking conglomeration. The Darcys need to get them to Scotland with Little Annie and her dog Sammy as well as Derby, Squire, and Boris. Add Caroline Bingley to the group, who is hated by Derby and Squire, stuck in close quarters while trying to evade their pursuers and you have a candidate for a diversion. This was a fun story. Jannie Meisberger does a wonderful job bringing the characters and situations to life. Her character's voices have continuity throughout the series. I recommend this story to anyone who loves Darcy and Elizabeth and wants to laugh. Even better with the narration! What did you love best about Mister Darcy's Honeymoon? I love the book, but this narrator brings the world of Darcy & Lizzie to life in a way that the books simply cannot. For me, a great night is a cup of tea & anything by Barbara Silkstone. I simply love the new narrator, she reminds me of Dame Julie Andrews in her voice & turn of phrase. For most of us, Caroline Bingly is the character you love to hate, but what happens to her in this book is truly inspired! I can't pick just one. The entire book is one of my favourites in the series & second only to the second Christmas book. If you could take any character from Mister Darcy's Honeymoon out to dinner, who would it be and why? I think dinner with Lizzie would be truly fascinating. Although, Boris is still my favorite canine character in the entire series. I was fortunate to receive this audiobook at no charge in exchange for my honest opinion of this audiobook. I have discovered that I am not a fan of modern Darcy/Lizzy stories but this was a fun listen just the same. Lizzy helps Mary with one of her orphans whose mother, it turns out, is a domestic slave. 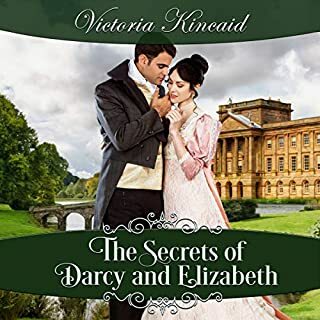 Mr. Darcy and Lizzy have been planning to return a Templar treasure and decide to add freeing the slave women to their agenda while they 'honeymoon'. They all crowd into Lizzy's Range Rover and embark on a pretty hilarious drive to Scotland! Silly fun and a nice diversion from heavier material. Jannie Meisberger does an excellent narration and is really very nice to listen to. 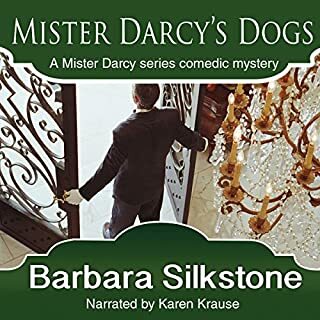 This is a great book; this book is part of the A Mister Darcy Series Series written by Barbara Silkstone and narrated by Jannie Meisberger. This book can be listened to in one sitting if you have the time, once I started listening to it I didn’t want to put it down until the end. This is a great book with a wonderful story and well developed characters. Under the guise of honeymooning, Mr. and Mrs. Darcy set off to save a quartet of domestic maids being held hostage in London and to return the legendary Red Rosary to the Templars' treasure vaults. I admit that I didn't really look into what exactly this book was before I started to listen to it. I just saw "Mr. Darcy" and decided it must be a Pride and Prejudice spin-off and decided to give it a try. So I was a little surprised to find that this was a contemporary version rather than one from Jane Austen's day. But it was a pleasant surprise. I also didn't realize that this book was number 6 in the series. I figured I had missed at least one book before this one but hadn't realized how much! So with those caveats in mind, I did enjoy this book for a light-hearted romp. And it was very light-hearted. Even though they find themselves in some rather dangerous situations, I never really felt that they were in any danger or that their mission (or rather, missions) wouldn't be fulfilled. In some ways that could be seen as a negative since there really wasn't very much suspense. But if you're in the mood for something lighter, then this definitely fits the bill. It does seem that the resolutions were a little too easy, though, so perhaps a bit more suspense would have been nice. The audiobook narrator had a very pleasant voice that fit well with the mood of the book. 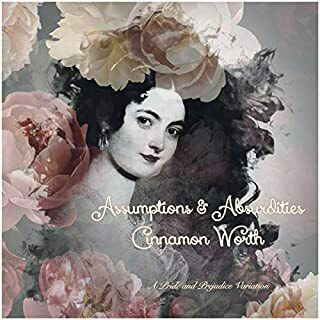 In fact, the narrator's voice was so nice that it was easy to just slip right into the story and not be distracted by the storytelling itself (which happens sometimes with other audiobooks). Note: I was provided this audiobook at no charge by the author, publisher and/or narrator in exchange for an unbiased review via Audiobook Boom. This is a modern adventure version of Mr. Darcy and Elizaberh. I think I like the original time setting better, but was cute for a rainy morning listen.